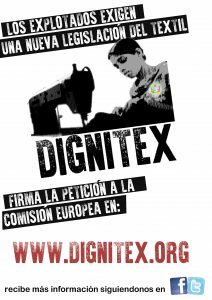 DIGNItex interviews Bershka’s workers after their big success of nine days striking and negotiating with big corporation INDITEX, holding of Zara, Bershka, Pull&Bear… . A struggle on behalf of the employees dignity in front of the monopoly of power. Previous PostPrevious (Español) ¿El quid del éxito de Inditex es la economía sumergida?